A healthy vegetarian diet requires careful monitoring, and we're going to cover some ground rules to offset any health issues. Becoming a vegetarian is a decision that should be made on a case by case basis. Some people become very ill on vegan/vegetarian diets. 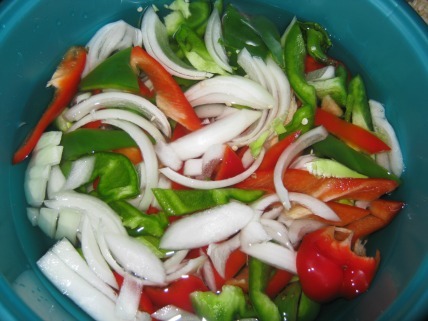 In The Paleo Solution, Robb Wolf writes that he became very ill when he became a vegetarian. Once he started eating animal based protein again, his health blossomed. A close friend of mine lost clumps of hair when she became a vegan/vegetarian. Her skin turned gray, and she had dizziness and fainting spells. When she started eating small amounts of poultry and fish, her hair grew back and she was fine. Another close friend developed prostate cancer and he was certain that it was because of his meat-based diet. He swore off meat and became vegetarian. When I saw him again three months later, he'd lost too much weight that I almost didn't recognize him. He soon went back to eating fish, beef and poultry, and has since gained back the weight he lost. He looks ten years younger. Lacto-ovo vegetarians can eat eggs and milk, but no meat at all. Lacto-Ovo vegetarians is the largest group of vegetarians. Lacto vegetarians can drink milk, cheese and butter products, but they do not eat eggs at all. It's very similar to lacto-ovo, it's just that eggs are omitted. 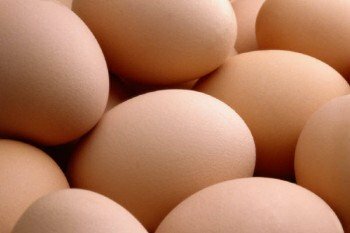 Ovo vegetarians can eat eggs. Ovo vegetarians omit all dairy products. Vegans do not eat eggs, dairy or fish. Vegans even exclude any food that contains products made from animal meat products, even honey. Pescatarian vegetarians are allowed fish. This makes it much easier to obtain high quality protein and protect the brain. Supplement with flax seed oil or a high quality fish oil for added brain protection. Flexitarian vegetarians are semi vegetarians. They occasionally eat fish, but do not eat red meat or poultry. Fruitarians eat only raw fruit, nuts and seeds. This type of vegetarianism is not recommended because it eliminates essential proteins and fats needed to maintain adequate health. It also excludes extremely important nutrients found only in vegetables with dark, green leaves. Raw Foodists eat raw meat and eggs, and drink raw milk and dairy in its natural state. 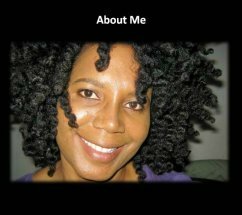 Lierre Keith discusses how she became sick on a vegan diet. Dr. Joanne Kong discusses the power of plant-based eating. The single biggest problem with vegetarian diets is a diet high in sugar and heavily processed grains. Vegetarians tend to eat much higher levels of grains and sugar, and this is going to cause a sharp increase in the possibility of cancer and heart disease. Sugar and grains increase insulin production, and insulin increases the growth of every cancer cell type. If you're eating heavily processed grains, you're going to have blood sugar issues, increasing the likelihood of diabetes. Eating a healthy, low glycemic diet with lots of vegetables is very important to offset diseases like diabetes. To complicate matters further, individuals who are gluten intolerant would have to eliminate grains altogether. This is going to create a challenge for vegetarians. Being a gluten-free vegetarian requires tremendous commitment. A healthy vegetarian diet requires fat. Your brain is 70 percent fat, and you must be certain that you're eating enough fat. Modern food scientists have discovered that fat is an essential element. Without saturated fat, our bodies would be in serious trouble. 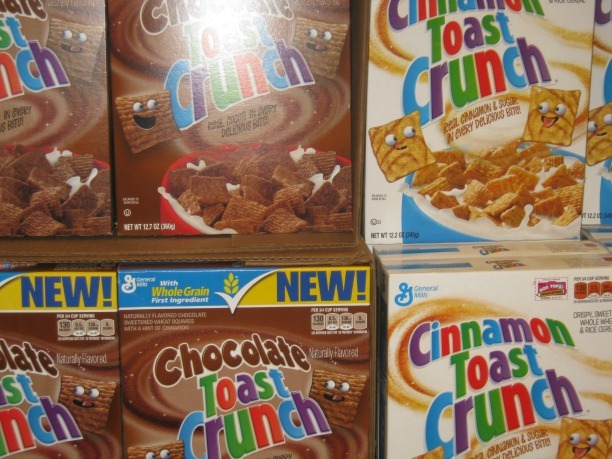 Americans made a big mistake in the '80s and '90s going low fat. The low fat theory is based on outdated 1950s Ancel Keys' debunked science. The low fat theory no longer has merit. Click here to learn more about the benefits of fat. The navigation of a healthy vegetarian diet requires discipline and attention to detail. The main challenge for vegetarians is to replace the protein found in sea food and land animals. Since the biggest challenge vegetarians have is getting enough protein, we're going to go through how to achieve proper protein nutrition. There are many alternative sources of proteins. Plant proteins are incomplete and require the combining of different grains to get a complete amino acid profile. You need nine essential amino acids in your body every single meal. If you do not get this essential protein, your body will begin to tear down its own tissues to get the protein it needs. This is why many vegetarians become emaciated. They're not losing weight, they're losing muscle tissue. Antiaging diet expert, Dr. Nicholas Perricone, lists lack of protein in the diet as the number one contributor to fast aging. Eat plenty of black beans, pinto beans and Peruvian beans. 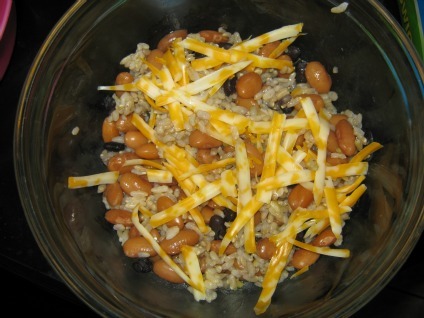 Beans mixed with brown rice will provide all nine amino acids to help with your complete amino acid profile. Lentils are very high in proteins, but the proteins they contain are incomplete, and also need to be combined with a grain. Click here for our brown rice page. Below is One of Our Favorite Snacks. It's Quick and Easy! Soy is a complete protein. Many vegetarians use soy as a replacement for meat. There is a lot of conflict as to whether soy is safe. When we're talking about soy on The Healthy Diet Paradise, we're always discussing organic, whole, fermented soy products, not fractionated soy. Soy is the number one GMO food. 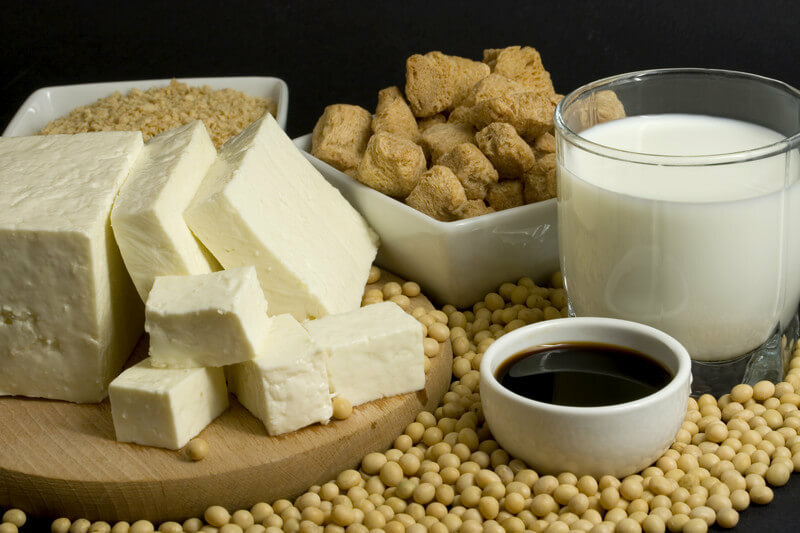 Some experts believe that excessive soy consumption may contribute to Hashimoto's Thyroiditis, which is thyroid disease. Click here for more information on Hashimoto's Disease and Soy Consumption. There can be some pretty severe side effects from eating soy. Please read our page on soy to learn what to look out for. Quinoa is an excellent source of complete protein. If you like, you can link here to our quinoa recipe. We made this with poultry. You can leave the poultry off and make this into an incredible vegetarian recipe. If vegetarians are not careful, they can develop degenerative bone diseases like osteopenia or osteoporosis. The human body cannot properly absorb minerals and calcium without the presence of fat. Vegetarians have a much higher rate of bone loss. The reason for this is the drastically reduced fat intake. For healthy bones, you're going to need to increase your fat intake a bit. 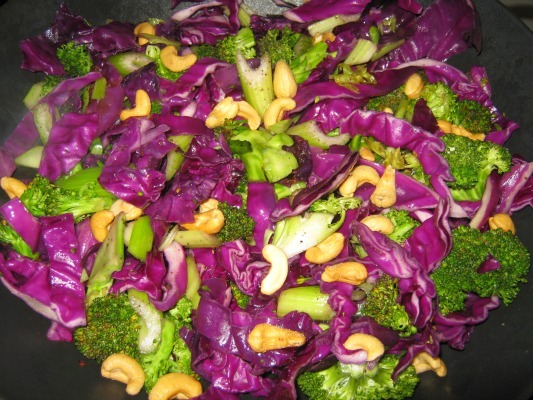 A healthy vegetarian diet requires cashews, walnuts, seeds and avocado. These are superfoods that will supplement your diet. For vegetarians following our hair loss diet, the question often comes up regarding fish. You can easily maintain a gorgeous head of hair if you're a vegetarian. Just make sure you follow the outline for vegetarian protein. Vegetarians who consume a whole foods diet, reduce their risk of cancer. A whole foods, plant based diet also minimizes the risk for digestive disorders like IBS and colon cancer. Careful attention has to be paid, or participants may become disenchanted and not follow the proper healthy vegetarian diet. 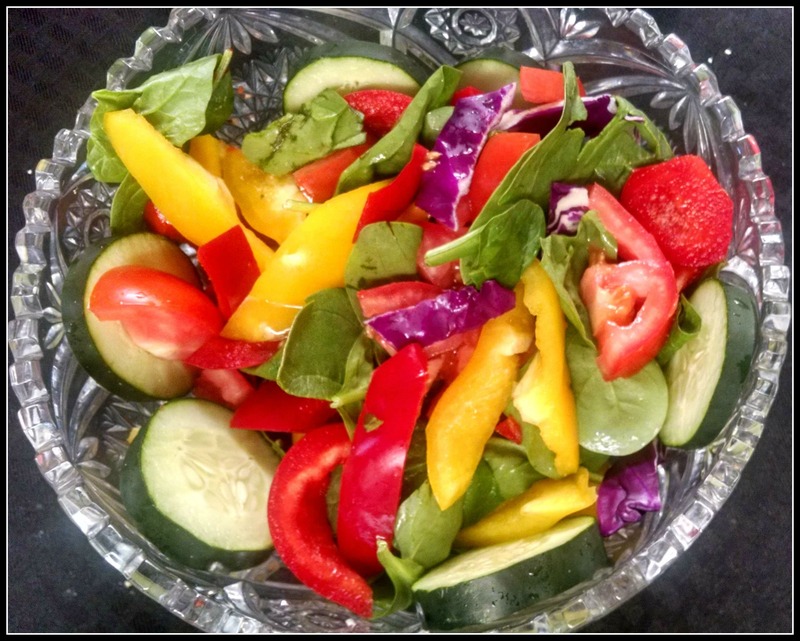 Click the picture below to learn how to make a properly combined salad! 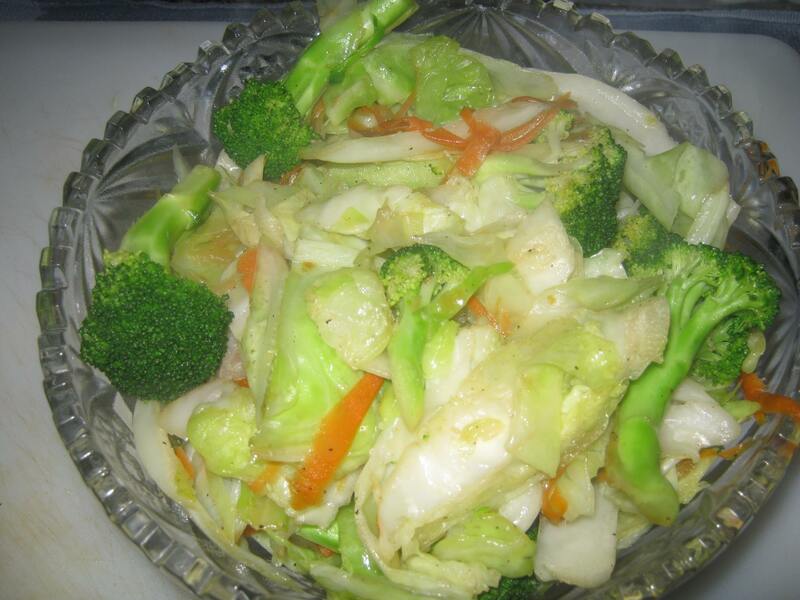 Click the picture below to Try this scrumptious cabbage, broccoli recipe! 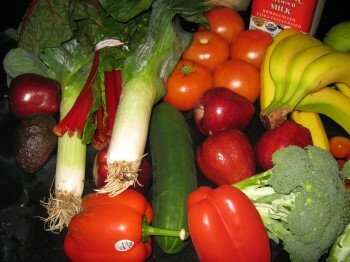 Whole foods are an incredibly important part of a vegetarian diet. Click the picture below to learn more about whole foods! Click the picture below to learn more about the dangers of processed food! Are you an ovo (egg) vegetarian? Click the picture below to learn about the powerful nutritional benefits of eggs. For some people, high soy intake may cause side effects. Click the picture below to learn why! 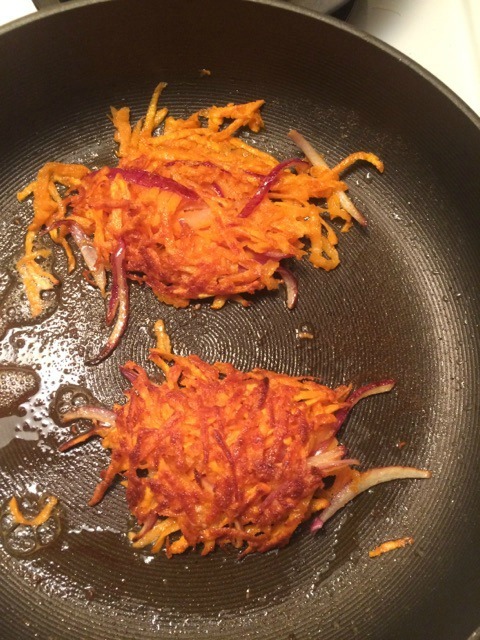 Learn how to make sweet potato hash browns. Click the picture below for the recipe!